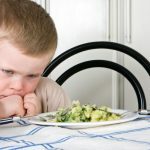 Has Your Great Eater Turned Into A Picky Eater? Here is What You Should Do. All of a sudden, your once perfect eater has started to become a picky eater. What gives? Who is this child and where did my great eater go? If this sounds like your child, you are not alone! The first year of eating (between six to 18 months) is typically called the “honeymoon stage of feeding”. Babies gravitate towards food and tend to eat the majority of foods provided. However, all honeymoons unfortunately end. 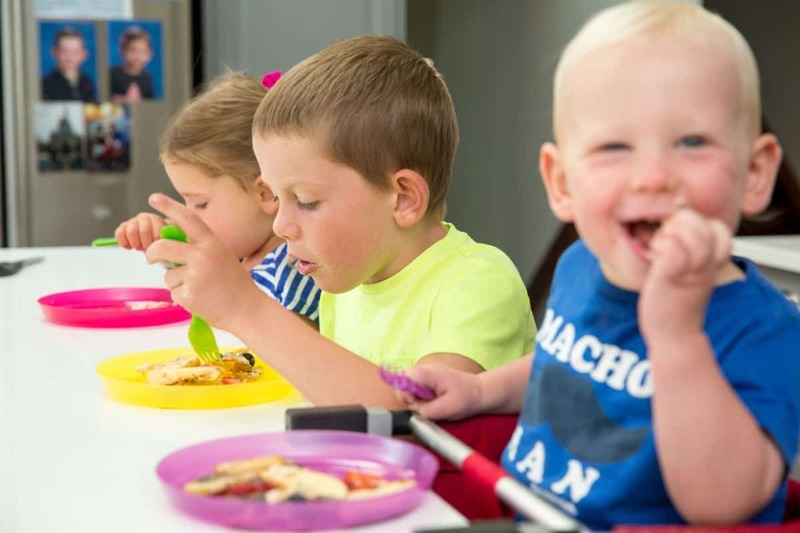 Usually between 18 and 24 months of age, your toddler’s cognition has matured and they’re able to analyze and process details like colour, texture, and taste more than they were able to do as a baby. It’s around this time that your toddler might also realize that they can assert their new-found independence and assertiveness. Combining a heightened sense of taste and the ability to form an opinion about food can result in a more selective, or picky eater. It’s important to try to have empathy when your toddler is faced with unfamiliar food. They may be hesitant or nervous – keep in mind that they are learning! 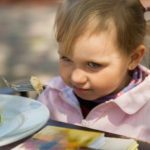 Even if you are serving a food that they have tried and accepted in the past, it may be unfamiliar through their “toddler eyes”. For example, is the food cut differently, or in a different sauce. Unfamiliar food can be intimidating, and maybe even a little scary for some eaters. Toddlers need to interact with their food. Allow them to touch, play with and watch their parents eat the same foods in order to gain confidence. Keep in mind that the process may take some time, so be patient! Give your toddler space to explore their food. Toddlers can sense pressure at the table in many ways. Sometimes it’s direct, like when you do the “airplane” or physically put food into their mouth, and sometimes it’s indirect, like when you watch them throughout the meal and hover around their highchair. 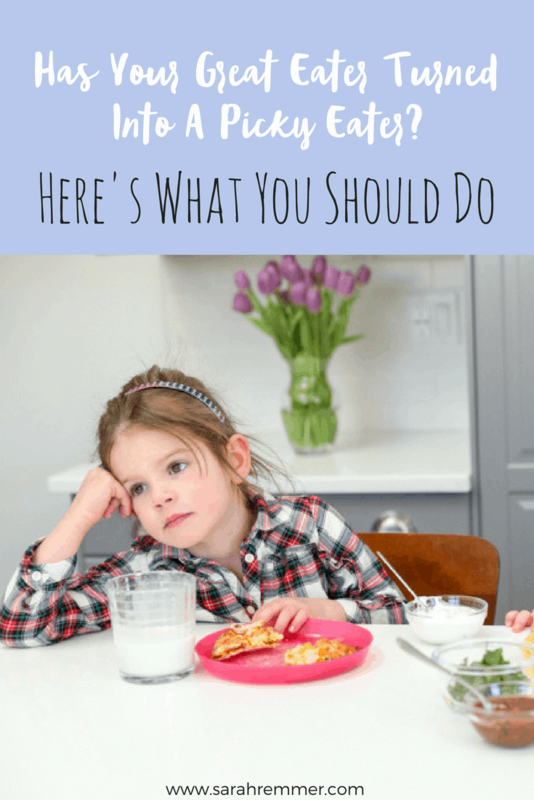 Back off, keep things positive, let your toddler self-feed as much food as they want. Try to turn off the food commentary. 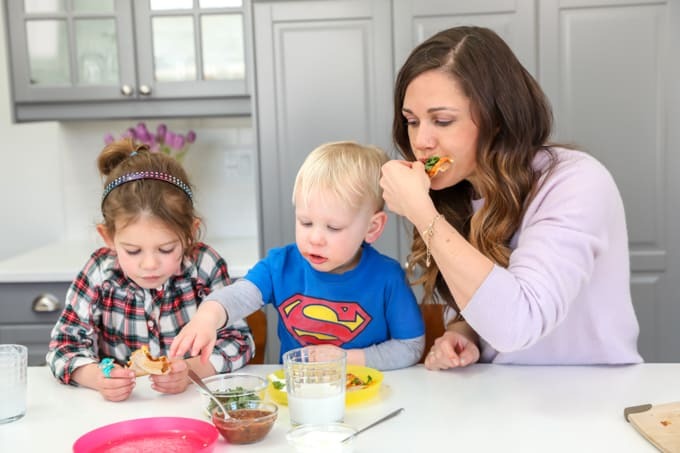 Parents often praise their toddlers and kids for eating certain amounts, and types, of food. 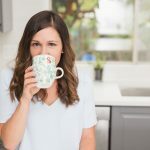 Although well-intentioned, praising your child for eating sends the wrong message – it tells our kids that they are “good” for eating and “bad” if they don’t. 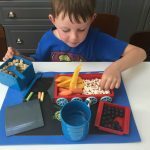 We want our kids to eat intuitively (trust their appetite and their body) and to learn to love a variety of foods in their own time. 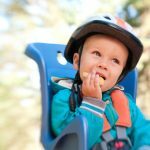 Instead, notice and acknowledge your toddler’s bravery when trying something new, but don’t praise them for eating a food or a certain amount of it. Aim to practice what you preach. Make a point of trying something new at family meals. When your kids see this they will feel more open and relaxed about trying new foods themselves. Make it fun by letting them choose one new food (think fruit or vegetable) every time you go to the grocery store — and letting them have say in how you use it in a meal. 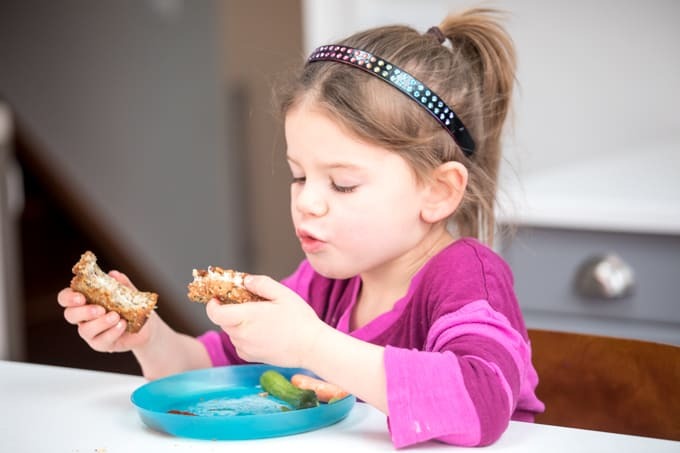 Try not to refer to your toddler as a “picky eater,” especially when they are listening. Little kids have big ears. 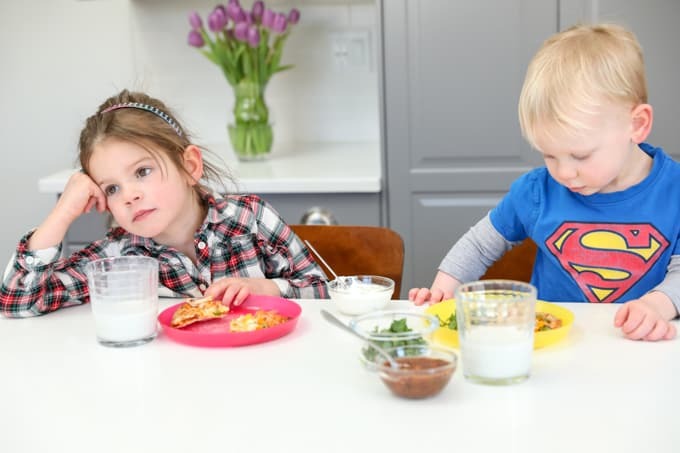 Even at this very young age, referring to your toddler as a picky eater—especially around friends and family—can enable the behavior and decrease their self-confidence when it comes to eating. It can also create assumptions and limit their exposure to new or unfamiliar foods. 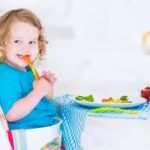 For example, if a caregiver or grandparent is told “oh, she doesn’t like green vegetables” or “he won’t eat meat, so don’t bother serving it”, it will decrease the chances of your toddler learning to love those foods because they won’t be exposed to them regularly! Drop the label, and keep reintroducing foods in a low-pressure setting. Our daughter ate well as a baby for about a month of solid foods and then started refusing. That began a long journey into picky eating. She is now 7 and the picky eating habits have drastically improved. She said her biggest deterrent to eating certain foods is a fear of not liking it. Wow! Glad to hear your daughter has seen improvement. It’s important that she realizes it’s okay to not like some foods. For me… portabello mushrooms. Yuck.